One eighteen foot (plus) E.B. 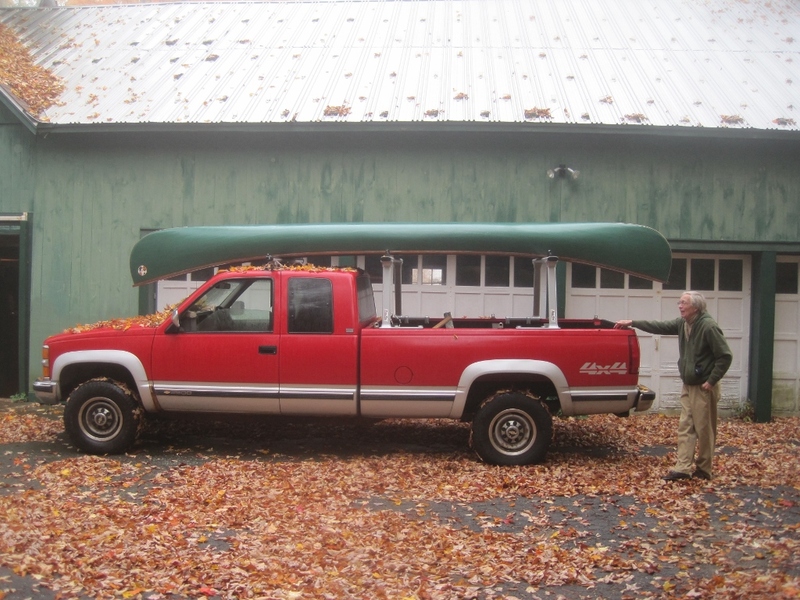 White (not Old Town) canoe, wood hull with a new Dacron canvas. Back up in Vermont from whence it came. Bit late in the year, but there is always next year! And now I am moving an archeology project into the barn. It will be out of there by March, or earlier, I promise! Some funny things going on down there these days! delivered with a big red bow and lots of love by two (now) very tired grandparents who are back home in spite of a failing battery in Big Red.